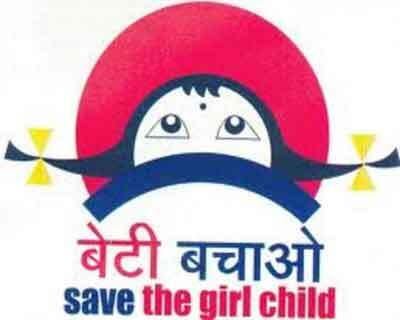 Pune: A unique initiative by Pune gynaecologist Ganesh Rakh to ‘Save Girl Child’ by waiving off all medical bills for a female child birth turned five years old and has become a national campaign. Rakh said the scheme was launched on a modest scale at his hospital on January 3, 2012 on the birthday of social reformer Savitribai Jyotiba Phule. “We started celebrating the birth of every female child born in my 5-bed Medicare Hospital Foundation and waived off the maternity delivery bills to all the mothers, be they millionaires or extremely poor. So far, we have carried out 725 free deliveries in five years,” Rakh, 41, told IANS. The simple but effective initiative, which remained in local shadows, shot to global attention when the IANS featured Rakh’s interview in 2014. Hospitals and doctors across Maharashtra and other states in the country also joined in the initiative in a bid to combat female foeticide. “Today, it has become a movement on a large scale, I was invited to speak on several television shows. Several international media outlets including BBC, Al Jazeera and others interviewed me,” a proud Rakh said. “In fact, at the second anniversary celebrations of the NDA government last year, Bachchan spoke on my projects to Prime Minister Narendra Modi and declared himself as ‘my fan’ and said he has waived off his fees for various schemes pertaining to the Beti Bachao campaign,” Rakh added. Himself the son of a labourer Adinath (now 70) and a domestic worker Sindhu (now 62), Rakh struggled to get educated. But being a bright student he secured scholarships all through his academic career till he qualified as a doctor in 2001. He started the hospital by taking Rs 1 crore as loan from family, relatives and friends. But when he launched the ‘Save Girl Child’ campaign, they were aghast as to how he would repay his debts. “For each regular delivery, we happily bear a loss of around Rs 10,000 and for complicated cases requiring surgery, the loss can be more than Rs 25,000. But for me the cause is more important than costs,” Rakh said. Later, in January 2015, Rakh launched a sophisticated specialized burns unit to treat women victims of burns or acid attacks, completely free, incurring expenses of Rs 15-35 lakh, depending on the severity of cases. So far, the hospital has treated over 100 women burn victims, many for dowry-related incidents, and a dozen women targeted in acid attacks. In another offshoot, he launched a free vaccination scheme for female children last year and has so far vaccinated over 2,000 girl children free of cost. Some companies now offer the vaccines at a discount. Spurred by Rakh’s revolutionary initiative, several big and small hospitals in different parts of Maharashtra, Gujarat, Haryana, Delhi and other states have also taken similar steps, either offering heavy discounts or free deliveries for every female child born. It has seeped at the societal levels too – many parents dedicate their children’s wedding invite cards with messages to support ‘Save Girl Child’, put up banners at marriage venues, some donate weddings gifts to the cause and offer other types of support. “However, we are aware that the road ahead is still long and tough? The tiny candle we lit five years ago has become a large and bright ‘mashaal’, which is lighting the lives of the female children,” he added. 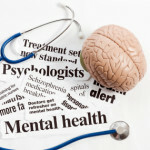 “We hope more doctors, hospitals, including the big chains, join this initiative? Then, female births would not be a burden, and the scourge of female foeticide can be erased from society,” Rakh said optimistically.